Beth born November 1978. Lives in San Luis Obispo with her husband Matt, and two children. More…Grandson Luke, born March 2007. Granddaughter Grace born February 22, 2011. Stepson Nick, born July 1979. Lives in San Francisco with wife, Lindsey. Granddaughter Tessa born January 2013. Grandson Tyler, born January 2015. Granddaughter Micha, born March 2018. Gregory Garden Elementary School, Pleasant Hill, CA for kindergarten and part of 1st grade. Mary E. Silveira, Marinwood for balance of the 1st grade through the sixth grade. Should have spent more time in class and less time at the "gate". I left the hallowed halls of TLHS at the end of my sophomore year when we moved into San Rafael proper. I resumed my high school education at SRHS but that lasted only a semester and in February of 1968 I left my high school days behind and joined the US Army. Not the smartest move I ever made but it ended up working out OK for me. Got to spend a year in Germany, a year in Southeast Asia, and the GI Bill paid for my college education. 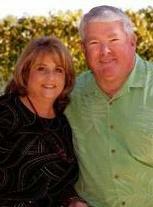 I graduated from Chico in 1974, got married the same year and in 1975 received my secondary teaching credential. Few teaching jobs at a time of declining school enrollment and affirmative action so I went into construction. Had three terrific children, divorced, remarried, and continue to live in San Jose, where I’ve resided since my discharge from the army. The children are all grown. My oldest, Beth, lives in San Luis Obispo with husband Matt and their son, Luke and daughter, Grace. Chris is an attorney, married to an attorney. and they live in Westchester Co., NY and working in Manhattan. They have two children, Tessa and Tyler and I do not get to see either of them near as much as I would like. Youngest son Brad is a project manager of a Santa Clara County electrical contractor. He and his wife, Sarah, had their first child in March of 2013 and they live in Pleasanton. I'm retired now and loving it. I stay busy doing chores around the house, doing genealogy, tracking down relatives, and travelling around this beautiful, wonderful country of ours. Jim Hersom, '65 - '67 has a birthday today. 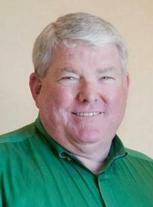 Jim Hersom, '65 - '67 updated profile. View. Jim Hersom, '65 - '67 changed profile picture. Jim Hersom, '65 - '67 changed "Now" picture. Jim Hersom, '65 - '67 changed "Then" picture. 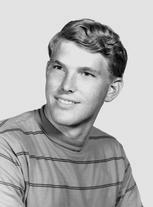 Jim Hersom, '65 - '67 has a birthday today. New comment added. Jim Hersom, '65 - '67 joined via Class Connection Facebook app. 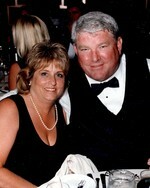 My wife Stephanie and I in 2007. My boys (l-r): sons Brad and Nick, son in-law Matt, son Chris. May 2008. My daughter Beth with husband Matt and my grandson, Lucas. July 2008.